On October 17th, MAP President and Founder Steven Olikara joined Steve Case (AOL Co-Founder & Chairman and CEO of Revolution) and J.D. 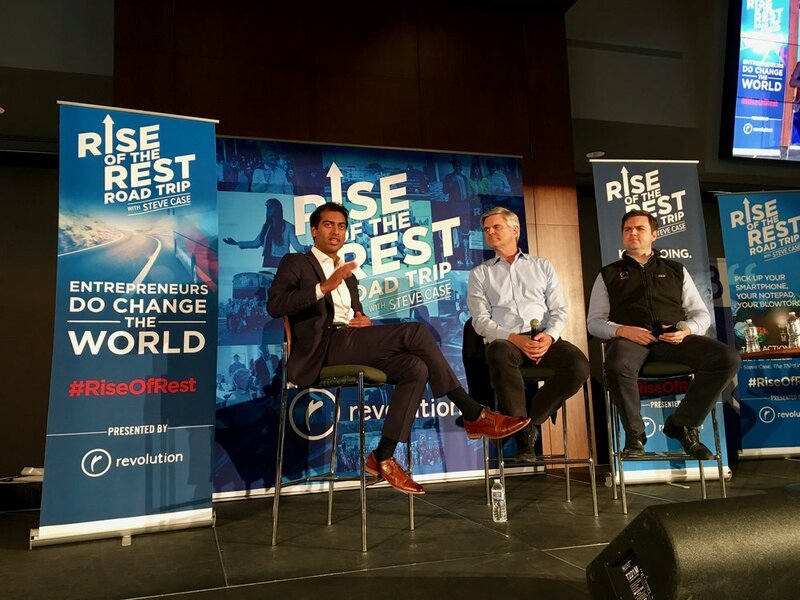 Vance (Hillbilly Elegy Author & Revolution Ventures) in Green Bay, WI for the Rise of the Rest Tour, highlighting local entrepreneurship - a top bipartisan issue for MAP’s Future Caucuses. After touring NE Wisconsin businesses, Olikara moderated a fireside chat with Case and Vance at Lambeau Field. 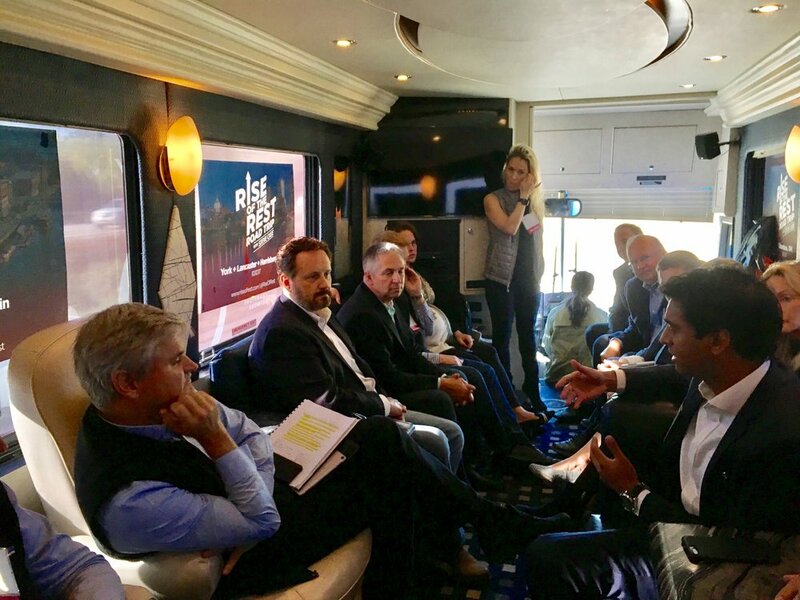 Later in the day, Rise of the Rest held a Leadership Roundtable with Wisconsin’s business leaders, philanthropists, entrepreneurs, and policymakers. WI Future Caucus leaders Representatives Amanda Stuck and Eric Genrich spoke to the group and discussed their support for building the entrepreneurship ecosystem.